Swordlestown Little hits the big time! 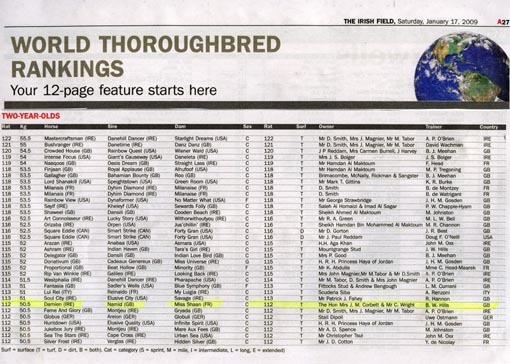 Damien is rated 112 in the international 2yo classifications and joins Europe's best two year olds of 2008. Not a day goes by without further gloomy news about the Irish, or indeed, world economy. With yearling sales prices having fallen up to 50% last year and further declines expected in 2009, stallion nominations and matings have to be selected more carefully than ever. Nomination costs are still too high, despite some adjustments by stallion masters. Our 2009 matings are currently being finalised. However,despite all the gloom and doom, Swordlestown Little has its most exciting year ever adhead in 2009: six homebred two and three year olds are in training in England and Ireland. 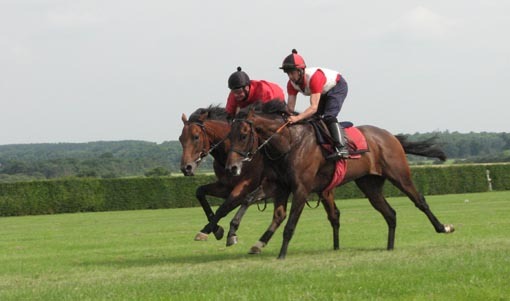 In addition to that, Newsells Park\'s Southey has a three year old (Olympian Order) and a two year old (Southey\'s Belle) in training in England. All three 2009 two year old flat horses are remaining in Ireland. They are all trained by promising young trainers. Third Intention has joined former assistant of John Oxx, Ken Condon, who has already established himself as a capable young Curragh trainer. 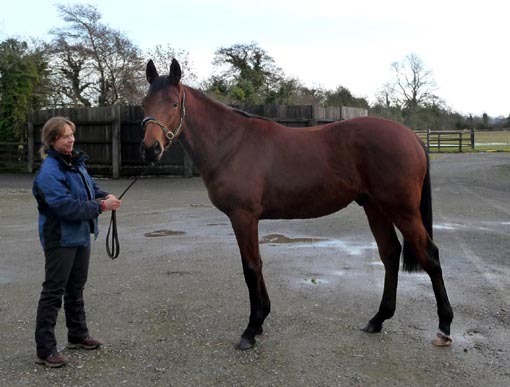 The Marju filly has been sent to Andy Oliver who hit the headlines last autumn with a treble at Dundalk. The Alhaarth ex Sogno Verde colt also headed to the Curragh, and joined the yard of Paul Deegan, former assistant to Mick Channon. Paul recently took delivery of ten Arab owned yearlings. Great things are expected of our three year olds of 2009. 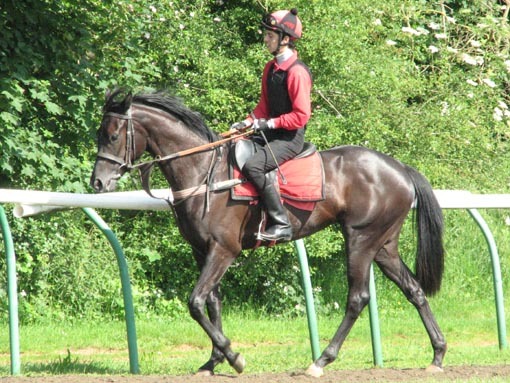 Khayar and Theola have done very well over the winter. 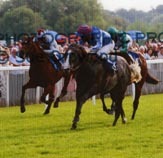 Their trainer Mark Tompkins is adamant that they are both very exciting horses, capable of winning good races in 2009. Damien will start off in a classic trial race. 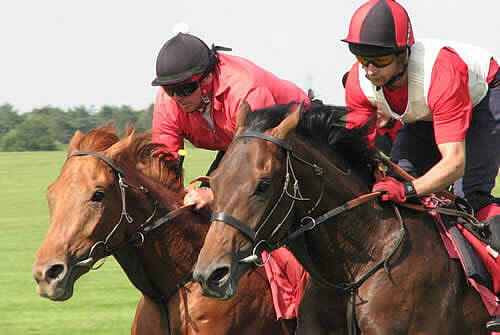 The three year old horses Theola, Khayar and Damien.